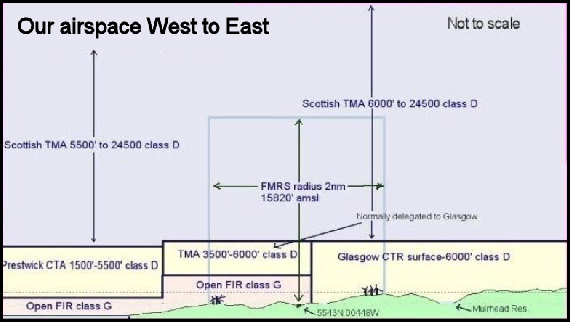 Our launchsite is situated by the Fairlie Moor Road running east-west between Dalry and the Ayrshire coast. To download directions to the launchsite click here. Our altitude ceiling (the highest we can fly) is 16,000 feet (4,876 metres) Above Mean Sea Level (AMSL) although we can go a few thousand feet higher subject to prior approval from Air Traffic Control. 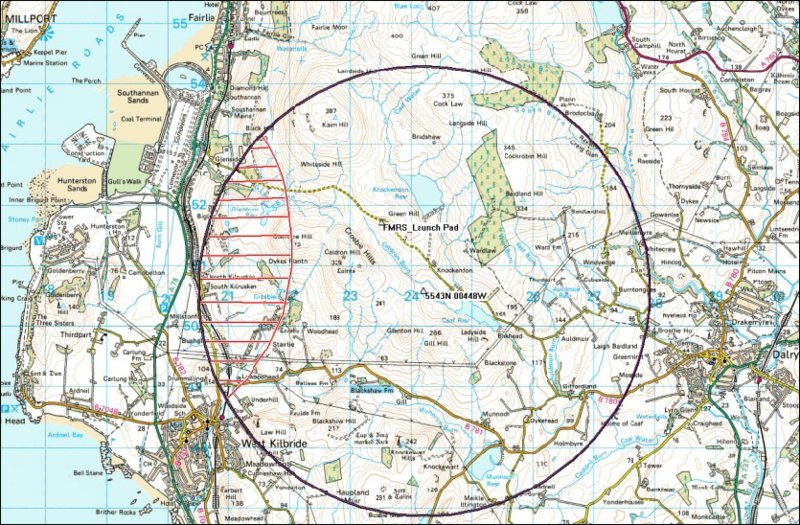 The height of the Moor where we launch from is 820 feet (250 metres) AMSL. The terrain is moorland with areas of bog: stout footwear and suitably warm clothing are required, and children must be supervised to keep them clear of the bogs. The Moor is empty: no trees or bushes, and no toilets I’m afraid! As per the UKRA safety code, a Range Safety Officer oversees each rocket flight. He/she must be obeyed at all times for your safety. The site is private farmland: we have an arrangement with the farmer, but we ask everyone to respect the land and not cause upset by litter. There are sheep and highland cattle roaming the Moor: please don’t upset them. 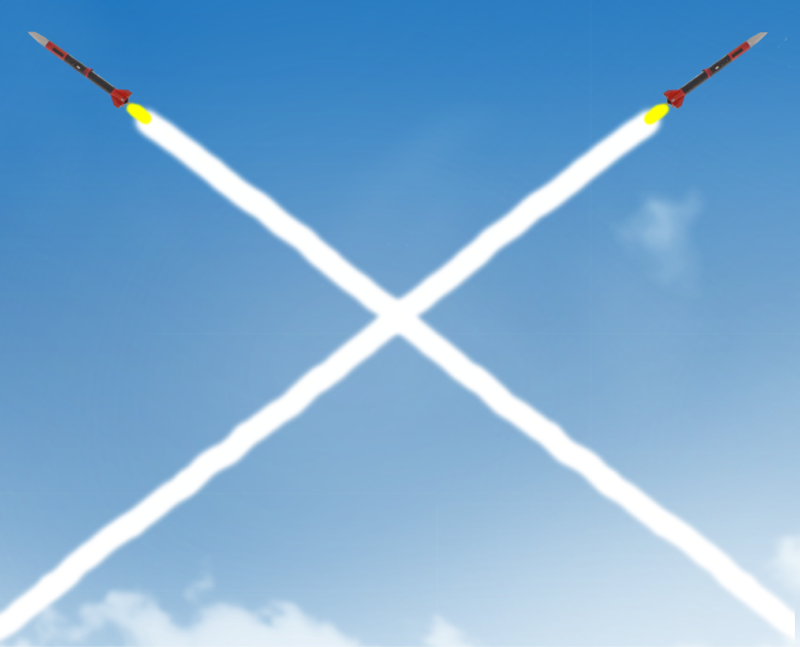 The launchsite must only be used for rocketry during times we prior-agree with Air Traffic Control. The radius of our launchrange is 2 Nautical miles; we really don’t want rockets drifting further than this on over-large parachutes. Here’s a rocket’s-eye view of our launchsite from Hammy’s Big Daddy rocket: spot us, our cars, the reservoir and wind turbines!